Mad Mimic Interactive has announced that its 2D castle defense game No Heroes Here will be coming to Nintendo Switch in early 2018. 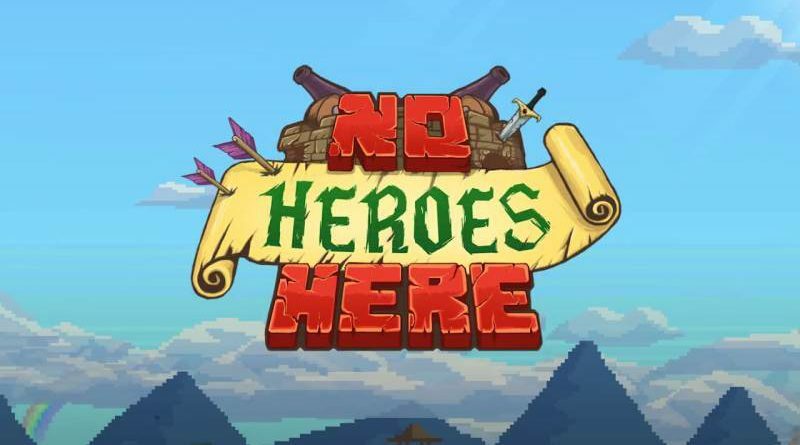 No Heroes Here is a 2D co-op and single-player game (both online and local) for 1 to 4 players mixing Castle Defense with crafting and platform elements. The Kingdom of Noobland is at war and its heroes are gone. With the death of the last hero, it’s up to the non-heroes to save the Kingdom. Teamwork is key as players must cooperate to craft ammunition, load cannons, and fire upon hordes of enemies to defend castles all across the land. The frantic co-op play is the kind of experience that either builds friendships or crushes them.